At Scorpio Partnership, we spend a lot of time unpicking the critical components of Client Experience (CX) that wealth managers need to get right to drive high satisfaction, referrals and loyalty. 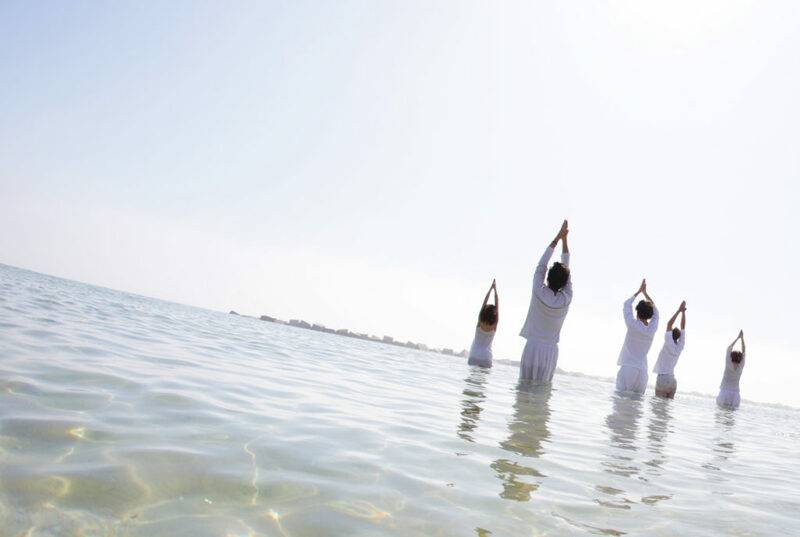 And in recent years, we’ve seen the notion of ‘putting the customer at the heart of the service experience’ repeated in annual reports of numerous global wealth management firms. Many have started to measure and report key metrics, such as Overall Satisfaction (OSAT) and Net Promoter Scores (NPS) – but is this enough? 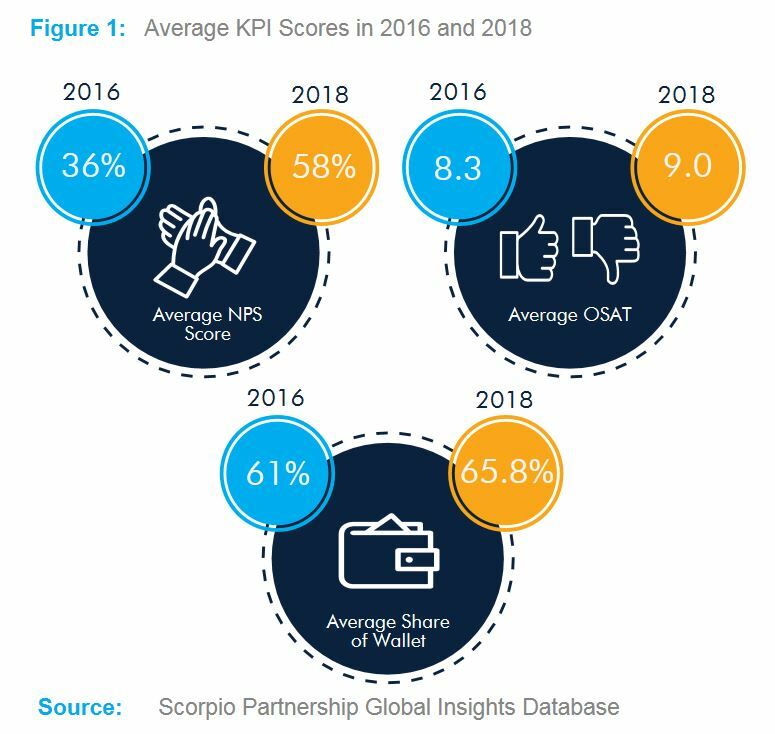 Insight from Scorpio Partnership’s Global Insights Database shows that CX progress is underway, with wealth managers successfully raising both OSAT and NPS scores in the last two years (Figure 1). Although not charted here, data also suggests that higher client satisfaction often translates into higher likelihood to refer others to the firm, as well as greater share of wallet (amount of money individuals are willing to deposit with their chosen provider). In an industry where clients are reluctant to talk about their wealth, such progress suggests a marginal increase in OSAT can have a greater impact on referrals – reflecting the evolution of wealth management from an industry traditionally shrouded in secrecy, to one of greater openness and transparency. While this is an encouraging sign – the industry mustn’t get complacent. Comparing metrics such as NPS to those of other industries, shows ample room for improvement (Figure 2). Our recent CMO survey suggests that although most leaders understand the importance of measuring CX, only 28% have a formalised and regular programme in place. In our view, such programmes can play a central role in innovation, strategy formulation and proposition development. 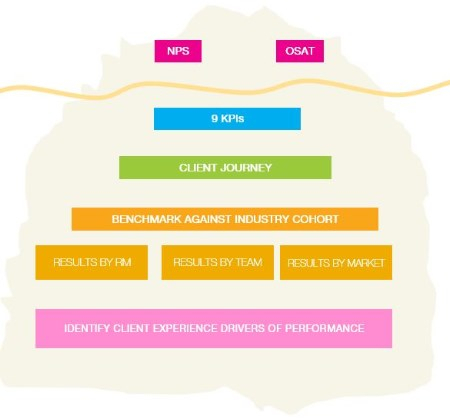 These programmes can also delve deeper, beyond NPS and OSAT, to yield actionable insights around client journey improvement opportunities and business performance analytics (Figure 3). To make the most of CX programmes, wealth managers should consider the following steps. Explore additional Key Performance Indicators. To develop a holistic and more meaningful view of CX, disaggregate the components of NPS and OSAT and seek success across additional KPIs such as Brand Value Score, RM, Team and Product Satisfaction. Analyse the various Client Journey factors. From account opening to financial planning and day-to-day account management – drive actionability by understanding clients’ key interactions along the client journey and how these touchpoints impact KPIs. Benchmark CX results against industry peers. To make meaningful progress, contextualise developments and evaluate performance relative to a competitive peer group. Quantify the link between CX and advisor productivity. Our research suggests client satisfaction is closely associated with advisor productivity. Linking CX data with advisor productivity metrics can yield powerful insights on the relationship between CX and financial performance. To avoid inaction and falling victim to a simple tick boxing exercise, it’s important to periodically review aims and objectives. Moreover, leaders must communicate the findings to frontline staff, as well as demonstrate how the business should change its behaviour to shift the dial on CX.